It’s been said that your eyes are the windows to your soul. Whether or not that is true, your eyes are often the first thing people notice about your face. And we all want to make a good first impression. If your eyes are starting to make you look older, or chronically tired, it might be time to perk things up with an eyelid lift. We know your first question is, “how will I look? What could an eyelid lift, or blepharoplasty, do for me?” You can read up on eyelid procedures that address certain aesthetic goals, and you should. But what does all that really mean? You can see for yourself, by studying before and after photos of other people who have had an eyelid lift. Remember, though, that your eyes and face are unique -- the composite of your bone structure, skin type, genetics, and other factors. These things determine what we look like and how we age. They also affect how our face will respond to surgery. So, while it is enlightening to look at photos of other individuals, keep in mind that your results may vary. What will not vary is Dr. Raval’s ability to produce natural-looking results. Your eyes can look more alert, more refreshed, more youthful. But the chances of anyone detecting your surgery are slim to none, because incisions are carefully hidden. That takes surgical skill and artistic talent. So as you’re checking out our before and after photos, look to see what you don’t see. The more photos you review, the more you will learn about realistic eyelid lift results. But the most helpful photos will be ones of people most like you in gender and age. People with similar pre-surgery concerns. Did they have surgery on their upper eyelids? Lower? Both? Most telling of all? Photos of patients whose eyelid surgery was performed by the surgeon you’re considering. It’s one thing to see what blepharoplasty can do in a generic sense, but your results will depend primarily on the surgeon you choose. It takes many years of medical training and experience to become a first-rate surgeon. To become a first-rate plastic surgeon also requires an innate artistic sense. We’re talking about your face here – in this case, your eyes. 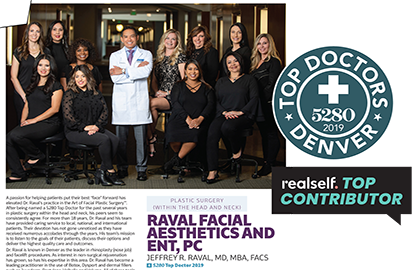 Dr. Jeffrey Raval, MD, FACS believes finesse is fundamental, so his philosophy is “less is more.” The least amount of surgery that will produce the best possible results. As critical as it is to choose a surgeon with top-notch medical training and proven experience, it is equally important to choose someone you feel comfortable talking to. No surgeon can do their best work for you unless you are open and honest about your concerns, your health, and the results you hope to achieve. Surgery is highly personal. Choose the surgeon that gives you confidence and who will work with you as a partner in restoring a refreshed appearance to your eyes. Reviewing before and after photos will show you what you might expect from an eyelid lift. To know for sure whether surgery is right for you, learn as much as you can about surgical options for improving the appearance of your eye area. Learn about the surgery itself, too – how long it takes, the amount of downtime for recovery, etc. We know you’ll still have lots of questions, so the final step is a personal consultation with Dr. Raval. Then you can decide if you want if an eyelid lift is the way to go. We encourage you to schedule a visit with Dr. Raval. But first, check out our Eyelid Lifts Before & After Gallery. By adding youthful smoothness and volume to the eye area, blepharoplasty procedures have long-term aesthetic benefits, especially alongside surgical or non-surgical treatments to the nose and chin.